Offering you a complete choice of products which include welding curtains with frames - siganture by dsz, high temperature resistant textiles cloth, welding curtains and welding curtain. Welding Blankets provide protection from sparks, spatter and slag generated by welding or metal-cutting applications. Our welding blankets are made of heat-resistant fiberglass fabrics, It is an ideal replacement for asbestos product used for thermal insulation and heat protection. Light duty welding blankets: Protection from sparks and minimal spatter. Medium duty welding blankets: Protection from sparks and heavy spatter. 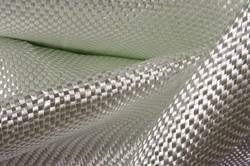 Silicone coated fiberglass fabric Core-Tex silicone fiberglass fabric takes high temperature, strength, and corrosion resistance fiberglass fabric as the basic fabric, and compounded by silicone rubber after the special craft (impregnating or rolling). Silicone fiberglass fabric is a kind of high performance and multifunction composite materials, it's widely used in Aerospace, Chemical, Petroleum, Large Power Generation Equipment, Machinery, Metallurgy, Electrical Insulation, Building, Transportation and other fields. 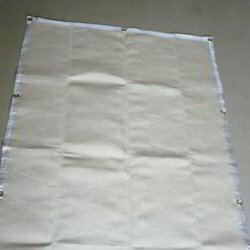 Glass Fiber Cloth is designed to withstand high temperatures, Fiberglass Cloth Roll Fiberglass Fabric features powerful heat protection while still maintaining its high quality. All our products have 1-year warranties. Welding Curtain screens are generally used to shield chipping, cutting, grinding and welding applications from the unprotected eye and to contain sparks and flames from spreading beyond the work area. Some of these screens are opaque reinforced fire retardant fabrics that offer 100% visual protection and particle containment from grinding and blasing operations. 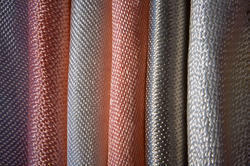 Our welding screens comes in different transparent colors for varying degrees of UV protection. There are tinted red, solid green, solid black.